Incorporated on February 12, 2008, Castle Pines, CO is a city of about 10,000 located approximately 20 miles south of Denver in Douglas County, Colorado. Castle Pines, CO is a secluded community surrounded by more than 15,000 acres of dedicated open space, exclusive Castle Pines Village and Reuter-HessReservoir. 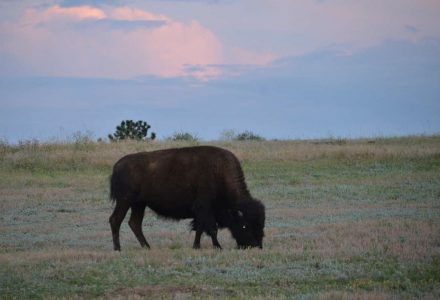 Within Castle Pines there are 13 miles of nature trails, 4 parks (The Retreat, Coyote Ridge, Daniel’s Gate & Elk Ridge Park) and 560 acres of open space. Castle Pines is also home to the Ridge at Castle Pines, a Troon Golf Course and The Sanctuary Golf Course. Sanctuary is considered to be the most coveted round of golf in Colorado, owned the co-founder of RE/MAX, Dave Liniger. You can’t call for a tee time and you can’t join Sanctuary, but you can see it. Drive to Daniels Park, bring a picnic basket, binoculars and the view from the ridge picnic tables of the golf course is awesome. Here’s an interesting article regarding the history of Sanctuary. Castle Pines Village is one of the most prestigious neighborhoods in Colorado, this gated residential community features two Jack Nicklaus signature golf courses, incredible landscaping and rock formations, and spectacular views of Pikes Peak, Mount Evans, and the Rocky Mountain Front Range. Extraordinary luxury custom homes are nestled amidst a quiet, forested, mountain setting, with an abundance of native wildlife and forestry. Recognized as a high-quality residential community, residents enjoy world-class golf courses, spectacular amenities and service, as well as social events, hiking trails, and much more. The Village at Castle Pines offers an array of upscale restaurants, boutiques, and shops for the whole family to enjoy. An ideal location with easy access to the airport and downtown and excellent Douglas County Schools, in a safe secure, environment, makes this neighborhood a fantastic community to live in. The City of Castle Pines covers approximately 6,114 acres or 9.55 square miles, just west of Interstate 25 at Exit 188, Castle Pines Parkway. The City’s municipal boundaries east of I-25 extend north to the Reuter-Hess Reservoir, east to Castle Park Ranches and south to Crowfoot Valley Road, Sapphire Pointe and Happy Canyon Estates. It is about 20 miles south of Denver and about 7 miles north of Castle Rock. The 2008 incorporation of Castle Pines included 2,437 acres which extended west and north to Daniels Park and Highlands Ranch open space, south to the unincorporated area of Castle Pines Village to Interstate 25. The 2009 annexation of the Canyons property added 3,342 acres, extending the City’s municipal boundaries east of I-25. It was just announced by Shea Homes plans to build a new master-planned residential community in the Canyons, a 3,343-acre development that’s expected to include 2,000 single and multi-family homes. In addition to the homes planned by Shea Homes, the development is expected to include 1,400 acres of open space and 2.1 million square feet of commercial space, according to the city of Castle Pines’ website. This information is located on the Denver Business Journal’s Website here. Exciting new developments for our community and outdoor enthusiasts! 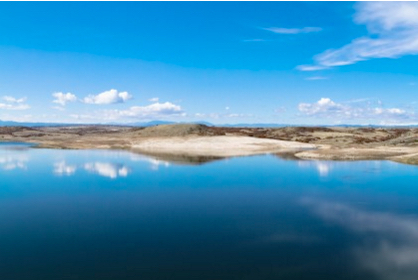 During the summer of 2015, Castle Pines City Council approved an Intergovernmental Agreement to join the Rueter-Hess Recreation Authority and partner with Parker, Castle Rock, Lone Tree, Douglas County and the Parker Water and Sanitation District to provide recreation opportunities to the public at the Rueter-Hess Reservoir. Click here to reserve your paddle board experience at Hess!